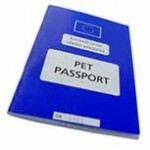 Pets Passport and Brexit Information. Are you up to date Brexit and what it means for your pet travel plans ? On January the 12th we shall be holding a charity event at our Firgrove Veterinary Centre. Our team will be taking part in a spinathon! The aim is to cycle the distance between our 4 practices, 44.1 miles. The St Kitts Veterinary Group team will be taking part and the public have the chance to sign up too if they would like to take participate. We are asking people to sponsor the team spinning. Get 10% off Hills Metabolic Food. Free Nurse Clinics to discuss diet and set a weight loss plan if needed. Don’t miss out on the offer- get yours now!